This is one of DP Custom Motor Cycles bikes before the rather tasty looking Mele Bike. I came across the website in UK and thought it looked really cool and worth a post. 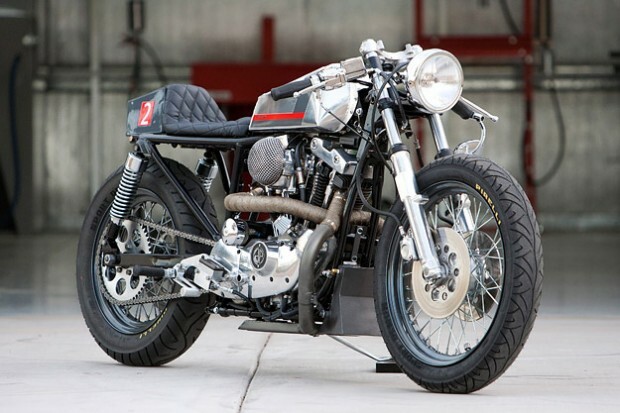 The Naked Cafe is a stripped down cafe racer with a sweet paint job and beautiful low slung handle bars. This is based on the Harley Sporters Ironhead. Custom motorcycle builder Justin took inspiration for the bike from the winner of 2011 Le Mans 24 hour race which was Audi’s R18 TDi diesel. I believe they have done another bike with inspiration taken from F1 or another form of motor sport. 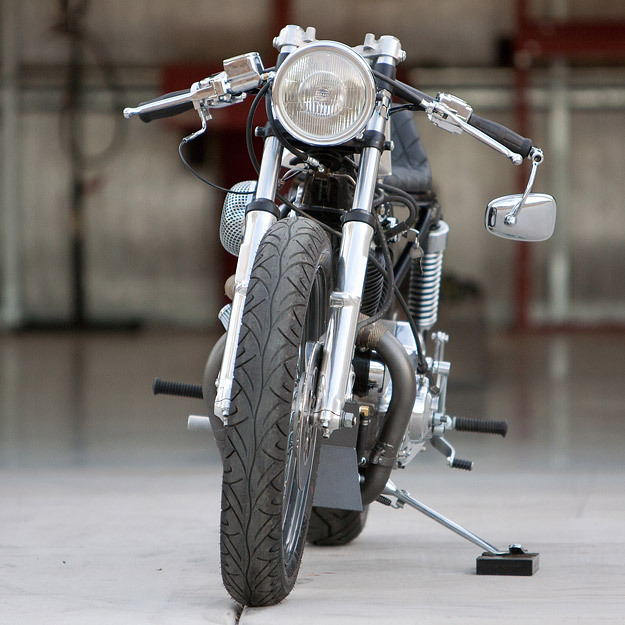 I’ll have to feature that one too because DP Customs are becoming my favourite bike builders.